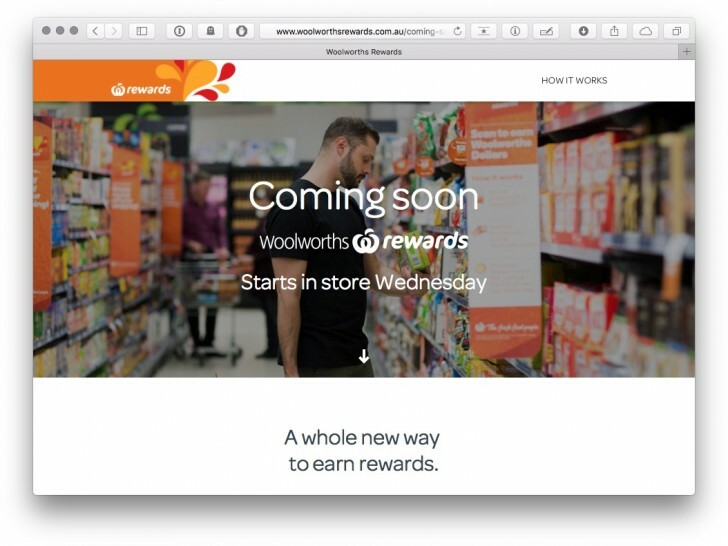 Not sure why this news has been released on a Sunday, but Woolworths have indicated they will be relaunching the Everyday Rewards program in 2016 – and without Qantas Points as their primary earn/transfer currency. Via AusBT, there will be a new Woolworths Dollars currency in play which will act as a cashback incentive, and the change is seemingly designed to reduce the costs inherent in paying for Qantas Points by Woolworths. This is, of course, a massive blow to the points-collectors who shopped at Woolworths or filled up at Caltex to top up their Qantas balance. It also adds another angle on the Etihad Guest and flybuys hook up announced earlier this week, though that’s by no means a replacement earn option given the lower earn rate and less appealing points currency. The focus on having the right rewards credit card for supermarket shopping in your wallet becomes more important. 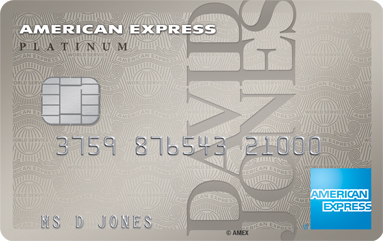 For bonus Qantas Point earn at Supermarkets, the David Jones American Express cards are the only option out there. AusBT also reports there will be no change to the Woolworths Qantas Platinum MasterCard, which will continue to earn Qantas Points as usual. The Woolworths Everyday Rewards program is one of the easiest ways to earn a consistent trickle of Qantas Points from your everyday spend. 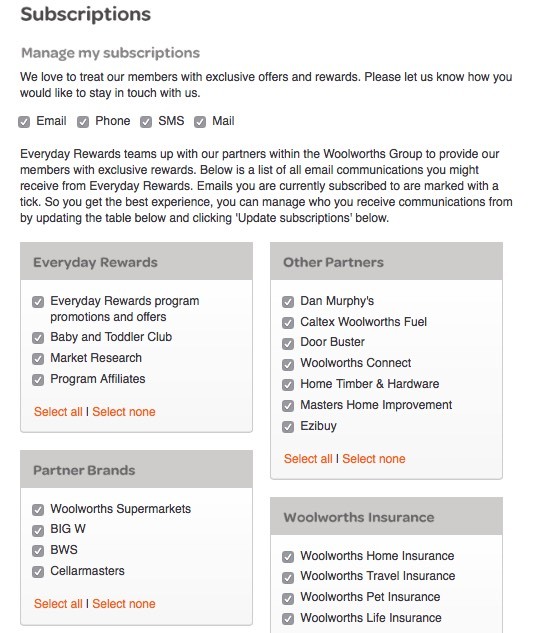 Members of Everyday Rewards can earn Qantas Points by shopping with Woolworths, BWS, Big W and Cellarmasters. How many Qantas Points can you earn from Woolworths by using Everyday Rewards? Notably, the Everyday Rewards program does not run in Tasmania, which is not so great for Tassie residents with Woolworths as their main supermarket. The $30 break-point for Woolworths shopping is the key one to note – so save up and shop less-frequently to increase your basket size and earn points, rather than using multiple small transactions. Same for BWS. How do you join Everyday Rewards? Everyday Rewards membership is free. You can pick up a temporary membership card at any Woolworths supermarket, BIG W or BWS store or join online. You need to register your Everyday Rewards card and link it to your Qantas Frequent Flyer membership at everydayrewards.com.au/easylink. After you’ve done this, a permanent card will be posted out to you. If you are not already a Qantas Frequent Flyer member you can join for free (apparently saving yourself $89.50) when you register your Everyday Rewards card online. As an Everyday Rewards member you’ll receive exclusive member prices, deals and bonus point offers. This can vary depending on your spend level and how regularly you use your rewards card. You’ll need to make sure you’re opted in to receive email offers in your Everyday Rewards account – log in, click ‘My Profile’ and then ‘Subscriptions’ and check the offers you think might be relevant for you. Note that most of them won’t offer additional points, so stick with those specifically related to Everyday Rewards to reduce your volume of email. If you have two or more Everyday rewards cards in a household you can try and use this to your advantage. For example, I recently received a promotion via email of 500 bonus Qantas points with a spend of $75 or more. My wife received the same 500 bonus point offer but she was required to spend $100. If you use one rewards card more often you may receive special offers to get you back such as 200 bonus points when you spend $50 in a single shop. I only scan my rewards card when I have spent enough to earn points. Remember to activate your offers! You can also opt in for Auto Rewards where your Qantas points are automatically redeemed for Gift Cards every 3 months, up to the value of $20. This is generally a bad deal – I prefer to accumulate Qantas points to use for classic award flight redemptions. If you do your regular household grocery shopping at Woolworths and spend $100 on your weekly shop, then that’s a minimum of 70 Qantas points earned per week. On top of this you can pay for your groceries using a points earning credit card which can increase your points earn – the full list of bonus point Supermarket cards is here. You can also earn at least 2 Qantas points per litre of fuel when you fill up at participating Caltex Woolworths co-branded fuel outlets. You must opt-in to ‘swap fuel savings for Qantas points’ as the default fuel option is to save 4c per litre every time you spend $30 at Woolworths (go to ‘Redemption Settings’ once you have logged in to the Everyday Rewards site). Once again you can pay using your points earning credit card – the best options for credit cards with fuel bonuses are here. If you want to save money on your fuel as well, then look out for 5% discount offers on Wish gift cards – these are often available from Entertainment Book, Price Pal and Cash Rewards sites – which can be used at Woolworths branded petrol stations. This gives you the best of both worlds – cheaper fuel and Qantas points! What about Everyday Rewards Credit Cards? Given that Everyday Rewards is aligned with Qantas Frequent Flyer, there are no separate Everyday Rewards cards that will earn you any more points than other credit cards out there – however the Woolworths Money Qantas Platinum card can act as your Everyday Rewards card too, saving you an extra card in your wallet. “We are working with Woolworths on a new partnership from 2016, and will keep you posted”. So looks like it may be a temporary situation. I’m wondering if Woolies is pushing Qantas for a cheaper rate and cancelling the programme was a way to force the hand of Qantas? I for one would no longer shop at Woolies once the Qantas points are removed. It’s the only thing that causes me to shop there. Seems like a full on move to email all members and tell them they won’t earn Qantas Points anymore, then to backflip on it next year. But who knows, anything is possible! i have 3 kids and their qantas accounts mean we have to suffer by flying with jetstar every 18 months to keep their accounts ticking over. our recent flights was with a connecting flight so you have to recheckin your bags etc unlike virgin. Hey Olly – by ticking over, do you mean keeping the points in their accounts active? There are plenty of other ways to do that that don’t involve you needing to get on a Jetstar flight! I’ll write them up if so. Great post! I’ve printed out a copy of the EDR barcode on a labelmaker at work and stuck it on the back of my regular credit card, which saves me having to carry another card. Interesting that you say to only scan the card when you’re going to get points, I haven’t noticed much difference either way. Similarly, should I be activating offers if I don’t think I’m going to achieve them? There are sometimes linked offers between the Woolworths Money Qantas Platinum credit card and EDR, eg at the moment if you spend over $100 and enter WOWMONEY you’ll get $10 off the total. Hey James – the only problem of scanning your card for purchases <= $30 is that you’re giving them all of the data about your shopping habits for free – you generally get nothing back. Except if you are a Tasmanian resident. No Everyday Rewards for us…. and that is why I shop at Coles. Ahh, of course. Noted on the post now, thanks.